Ordinance No.4, Series of 2005 - Amending Ordinance Providing Legal Assistance to Barangay, City Officials and Employees. 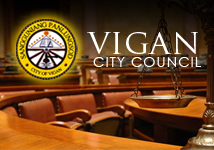 Ordinance NO.4, Series of 2008 - Requiring All Barangays to have their own Seal. Ordinance No.9, Series of 2006 - Providing Annual Group Insurance for all Barangay Officials and Tanods. Ordinance No. 17,Series 1997 - Providing Legal Assistance to mun. and Brgy. Officials and Employees.